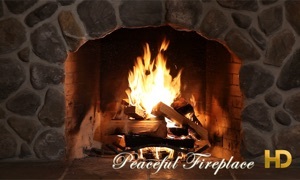 Amazing Fireplaces in HD for your Apple TV, Ipad or Iphone featuring a great selection of fireplaces to choose from both online and offline, great for relaxation and sleep aid. Feel the warmth from the screen, music and fireplace SFX, settings for audio levels, set a sleep timer for your fireplace. Purchase once enjoy on your TV, tablet or phone.